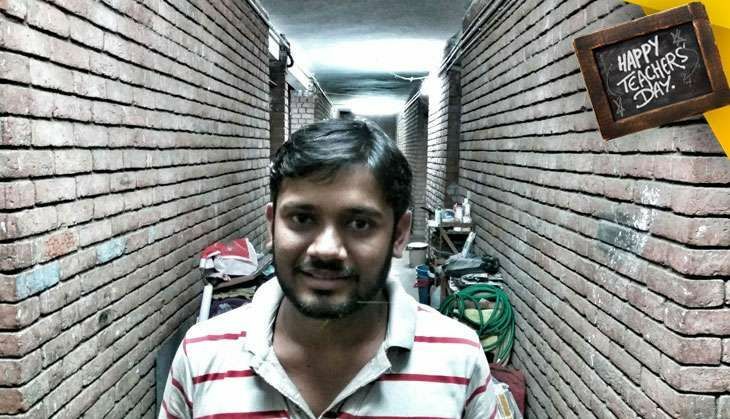 Kanhaiya Kumar is a name to reckon with on university campuses across the country. In a matter of a few months earlier this year, the former Jawaharlal Nehru University Student's Union president became the student representative for all as he held his ground, even while in jail, against anti-national allegations and attacks coming in from every side. It is only befitting to talk about students and their educators on Teacher's Day. Let me begin with JNU and its impending students' union elections. The last elections have been a great learning experience. I am now convinced that politics should never be devoid of principles. My organisation All India Students Federation (AISF) has decided to abstain from the campus elections this year. I have tried to forge an alternative platform against a leftist organisation, which is currently facing students' anger and to oppose the ABVP, an organisation that revels in false propaganda. The aim was to prevent the division of progressive votes, but our efforts could not bear fruit. We could have entered the fray on our own. The division among the leftist groups would have benefitted the ABVP. This is where politics of principles comes into play. Winning elections is not the central doctrine of my party. We want to uproot the forces like ABVP from this beautiful campus. It is for this purpose that we have decided to abstain from elections. We are appealing to the students to unite against ABVP. I am elaborating on the upcoming elections because electoral politics is the biggest teacher in students' as well as parliamentary politics. It teaches you a lot of valuable lessons. The only question is - how sincerely you complete your homework. Besides electoral politics, I also want to remember my teachers on Teacher's Day. Especially, the ones who shaped my impressionable mind as a child with love and labour. I belong to an ordinary family from Begusarai in Bihar. Thanks to Modiji, everybody is aware of this fact now. My mother was fond of reading. She could study only up to the primary level in her village. My grandmother did not allow her to take admission in high school as it was 12 kilometres away from the village. My grandfather was against sending his daughter away from home for studies. Eventually, my mother came to her in-laws after marriage. Here she was able to complete high school education with the support of her father-in-law. I am mentioning these facts as my mother was my first teacher in life. I still remember I used to study with my slate and pencil in the light of an earthen lamp as my mother cooked food in the kitchen. I loved to spend time with my grandmother after my homework was over. My grandmother would tell me stories of kings and their subjects. I still find the reflections of the characters of her stories around myself. Many stories narrated by my grandmother are still interspersed in the society. The atmosphere in my village was comparatively progressive. It had a small library where the village elders would come to read newspapers. There were often heated discussions among them. I loved sitting close to them and listening to the debates. All these people turned out to be my teachers at a subconscious level. They all have taught me a lot. I would particularly like to remember my favourite teacher Urvashi ji. She used to love children a lot. She did not live with her husband and had no kids of her own. Obviously, I came to know of these facts much later in life. Urvashi ji was very affectionate towards us children and this was the reason we were attracted to her. Whatever she taught made a long lasting impression on our lives. The scope of education and teachers widened when I came to Patna. It was more of a race than learning. A student was expected to run from one tuition to another throughout the day. I too became a part of this race. However, soon I found teachers of my liking. It was in Patna that I came across Marxist principles and ideology for the first time. A teacher named Shiv Shankar Sharma introduced me to these ideas. He gave me many books on the subject and elucidated many of complicated Marxist theories. Whatever I am today is because of that teacher. After completing my studies in Patna, I came to Delhi to prepare for UPSC examination. The race that I had seen in Patna was even more intense here. Everywhere I could see large hoardings of coaching centres. The roads were replete with their pamphlets enticing students with dreams of a successful career. Once again, I was on the verge of becoming a part of this rat race. Luckily, one day I met SN Malakar, who was a professor in JNU. He showed me the way to this beautiful campus. I must say I have been lucky in finding the right teachers at the right time. One of the reasons was that I never had enough money in my pocket. Therefore, the money-minded teachers kept away from me. This was the reason I always met those teachers who had higher ideals. I think education should not be commercialised. We must prevent the teachers from becoming businessmen. Only then, we can expect our students to become truly educated.